Do you enjoy singing? Would you like to sing with a choir and make new friends? 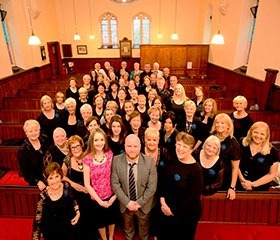 Our popular Sing for Life community choir, in partnership with the Crescent Arts Centre in Belfast, has a membership of over 100 people with an average weekly attendance of around 50. Joining the choir gives you the chance to meet others living with cancer and to share time together in a friendly, supportive environment. You don’t need previous musical experience, and friends and family are welcome too. Download our sing-for-life-leaflet and find out more. Many people with cancer benefit from sharing experiences and getting to know others in a similar situation. Cancer Focus NI support groups meet regularly all over Northern Ireland. Our groups are informal and provide practical information and emotional support. You’re welcome to bring a friend, partner or spouse and most meetings take place during the week, lasting for around an hour and a half. There’s no pressure to speak and you can come to the group as and when you wish. Cancer Focus Northern Ireland offers two writing groups which give cancer patients the opportunity to write and speak about their cancer experiences. These workshops are facilitated by counsellors from the Cancer Focus NI counselling service. Why write about the pain and struggle that comes with cancer? Studies have shown it can be good to do so. Writing offers a safe place to unearth and express what you think and feel. When you begin to shape those thoughts and feelings into story, or stories, it helps to make sense of things. The first of these workshops takes the group on a chronological journey through their cancer experience. It begins with life before cancer and goes through to the present day. The second workshop takes a look at cancer experience through the use of poetry, and writing one’s own poems. 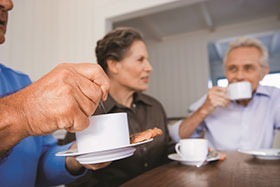 Each group offers written exercises with the opportunity to discuss explore and talk with fellow members of the group. 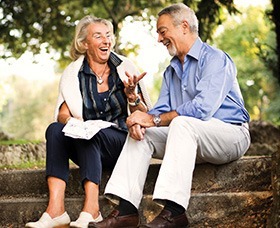 One successful and beneficial feature of the group approach is the invitation to read aloud what has been written and this is offered as a choice. Zest for Life is a life-coaching approach to help you move on from your cancer and treatment, and to help you come to terms with the new ‘normal’ for you. It’s a six week course that focuses on raising self-esteem and confidence. You’re helped to understand and manage lasting behaviour and lifestyle changes that will have a positive impact on both your physical and mental health. The course also looks at positive thinking and relaxation skills to help you manage stress. Waiting for treatments in the cancer clinics can be very stressful and time consuming so Cancer Focus NI offers some much needed relaxation and pampering at our Nail Bars in the cancer clinics at Belfast City Hospital and Craigavon Hospital. Our dedicated team of volunteer beauty therapists provide manicures, hand massages and advice on caring for nails to both women and men while they are waiting for cancer treatment. They provide a respite from the anxiety of waiting for treatment and help when nails and skin are adversely affected by chemotherapy. We also provide treatments on the wards on request. If you’d like to know more about any of our support services, contact us on 028 9066 3281 or care@cancerfocusni.org.